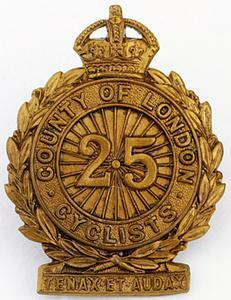 In gilding metal, within a laurel wreath a circlet bearing 'COUNTY OF LONDON / CYCLISTS', the circlet is surmounted by an Imperial (King's) crown, and encloses a centre representing the spokes of a cycle wheel with the figure '25' superimposed. Below the wreath a tablet bearing 'TENAX ET AUDAX' ('Tenacious and bold'). A pair of lugs to reverse. 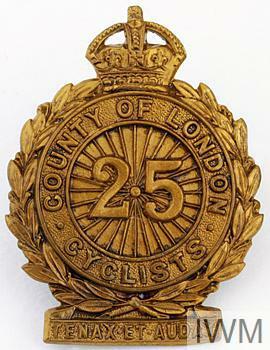 Cap badge for the 25th (County of London) Battalion (Cyclists). The badge was in use from 1908 until 1922 when the battalion was disbanded. 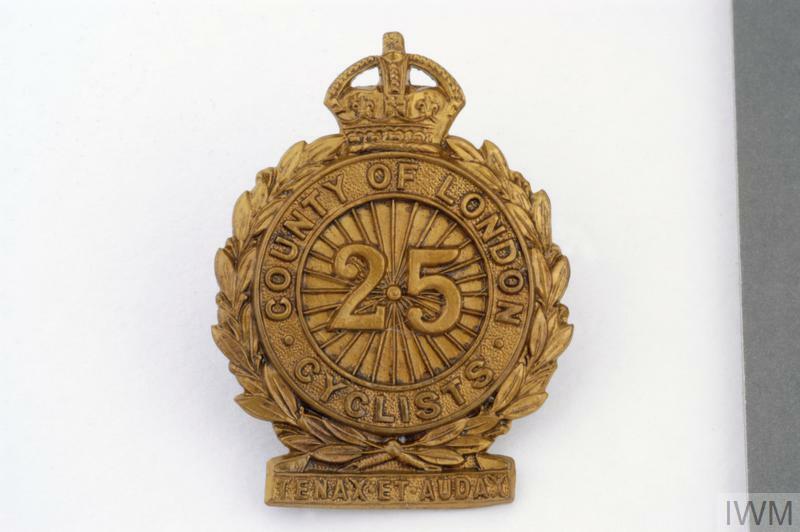 Badge of pattern worn from 1908 until 1922, when the battalion was disbanded.